Previous posts on the site have looked at Irish veterans of the American Civil War in the 20th century (see for example here and here). As their numbers dwindled, many newspapers ran stories about local old soldiers, who were transformed into cherished heroes with the passage of time. Many of these articles are factually flawed, but they serve as reminders of just how far into the 20th century living memory of the American Civil War survived. One such story was that of Dubliner Michael Casey, a Famine-era emigrant who sacrificed much for the Union cause during the 1860s. He lived long enough to become a 1930s guest at The White House, where he shared a few words with President Franklin D. Roosevelt. Michael Casey, 94, veteran of 33 Civil War engagements and sole survivor of the 32nd Illinois regiment which fought in the Battle of Kenesaw Mountain, died yesterday at his home, 622 Emerson street. He was found by a maid in his home where he had lived with his son, Michael Casey, Jr., engineer in the Interior Department, when she went to call him for his breakfast. Mr. Casey’s death came less that 24 hours after his election to the Board of Managers of the temporary Soldiers and Sailors Home at Ninth street and Pennsylvania avenue south-east. He had gone there Saturday night with his son. Born in Ireland in 1840, he came to this country in 1848 with his mother to settle on a strip of farm land near Newton, Ill., which his father had located several years before. He marked the beginning of his affiliation with the Democratic party by one of the Lincoln-Douglas debates, when Douglas told the crowds that Lincoln had on socks that he had worn all his life. The people, according to Mr. Casey, laughed and all but a few left before Douglas completed his talk and Lincoln began to speak. Although he was not old enough to vote that year, he was an enthusiastic Democrat, and in 1864 he cast his first vote for the party and Gen. George McClellan. 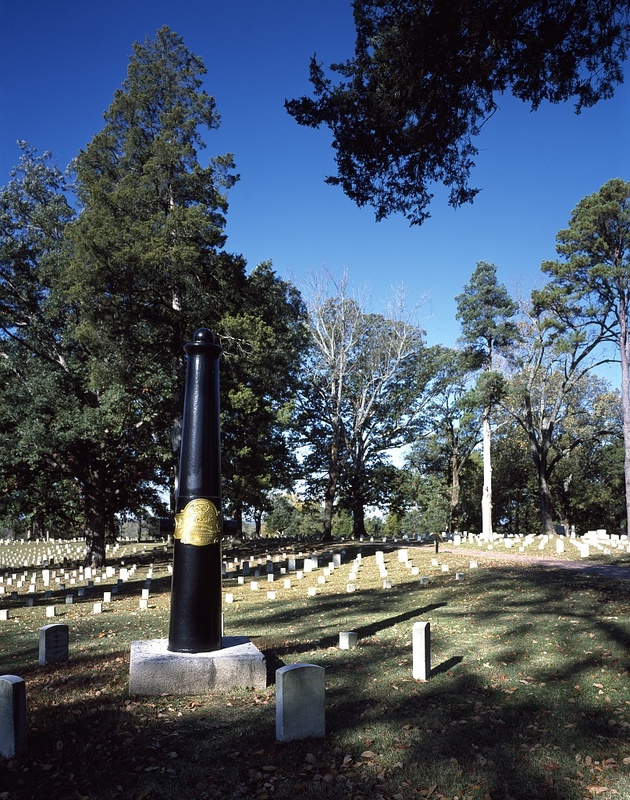 Mr. Casey enlisted in the 32nd Illinois Regiment with his father in October, 1861, and fought alongside of him until the elder man died from an illness contracted at Shiloh. From ’61 to ’65 he fought in battles at Lookout Mountain, Vicksburg, Birds Point, Jackson, Fort Henry and Pittsburgh Landing, where he was one of 80 men assigned to gunboat duty. When his enlistment expired in December, 1864, he returned home and re-enlisted, this time with his brother, who died and was buried at Nashville, Tenn.
After the war he became a construction engineer for various railroads in the West, subsequently becoming a rancher in Wyoming. He came to Washington about a year ago to live with his son. A cane with a silver plate given him by the Maryland Sons of Civil War Veterans on his 93d birthday anniversary attracted the attention of President Roosevelt when he was at the White House recently. “It should have been a shillalah,” the Chief Executive said after looking at the stick. Mr. Casey was an honorary member of the Helen Spencer Mussey Tent of the Union Daughters, the Gen. Beck Circle of the Ladies of the G.A.R. and the Cushing Auxiliary of the Sons of Union Veterans of the Civil War. He was a member of Lincoln Camp, No. 2, Sons of Union Veterans, and the G.A.R., Kit Carson Post. He is survived by his son and three grandchildren, Patricia Day of Cheyenne, Wyo., and Mary and Theresa Casey of Washington. 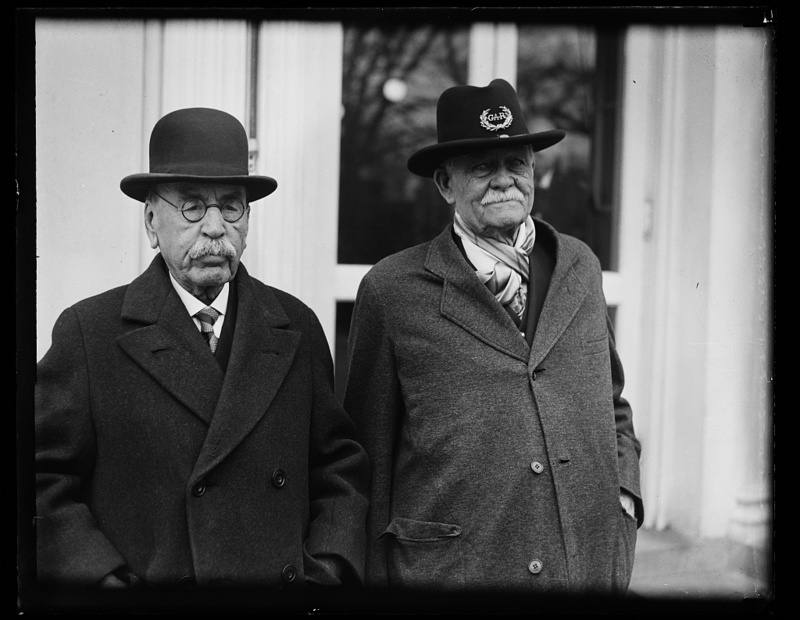 By the time Michael Casey died in 1934 the Dubliner had been in the United States for more than 86 years. More than 69 years had passed since the war in which he had lost both his father and brother. The Famine-era emigrant had lived long enough to become one of the last cherished veterans of a war fast fading into memory. 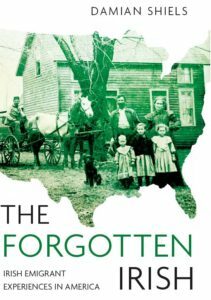 His story serves as a reminder of just how far into the 20th century the repercussions of the American Civil War could be felt. Washington D.C. The Evening Star 5th November 1934. Civil War Soldier Dies Here At 94. National Archives and Records Administration; Washington, D.C.; Passenger Lists of Vessels Arriving at New Orleans, Louisiana, 1820-1902; National Archives Microfilm Publication: M259; Roll #: 28.